One pressing issue is to understand what Luther means, and does not mean, by the ‘pure’ Word which marks the presence of the Church. “Thou art our dwelling place … from generation to generation” … Therefore when you are minded to pass judgement on the church, you must not look for a church in which there are no blemishes and flagrant faults, but for one where the pure Word of God is present, where there is the right administration of the Sacraments, and where there are people who love the Word and confess it before men. Where you discover these earmarks, there you may be sure the church exists, whether the number of those who have and observe these earmarks is small or whether the number is large. The seventh article of the “Augsburg Confession” explicitly makes room for disagreements on adiaphora. But what space can Luther’s complete and uncompromising insistence on the purity of doctrine leave for dealing with other individuals and churches who claim the name of Christ, but who disagree to a greater or lesser extent on points of doctrine? If doctrine must be completely “pure”, with what confidence may we assert the presence of the true Church in this place or in that? In the Lutheran tradition there have been a variety of stances on the satis est of the Confession. 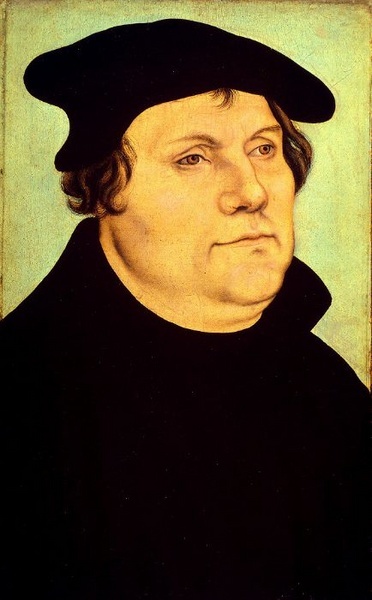 Luther’s express requirement for “pure doctrine”, when set against the background of the Lutheran divisions which followed hard upon his death, was almost inevitably the springboard for a continuing quest to establish and categorise the articles of that pure doctrine. Some confessional Lutherans continue to require full assent to the formularies as a condition of communion, on the basis of their unique, definitive and enduring status as an expression of scriptural Christian truth. But Forde argues that the satis est must be used in a very different way; to limit and circumscribe the requirement for agreement and uniformity so severely that it consists only in the gospel itself: “What the satis est calls for is agreement not on a whole list of things or doctrines, but on the specific activity of teaching (preaching) the gospel and administering the sacraments according to that gospel.” At stake, it seems, for both Forde and Gritsch, is whether the ultimate contribution of Lutheranism to Christendom is to protect the gospel and the Church of God from deviation and untruth, or to release the Church in the freedom of that gospel. The same question could be posed of the Reformer himself. LW 13,88 on Ps 90:2. See for instance, Gerhard O Forde, “The Meaning of Satis Est”, in A More Radical Gospel, Cambridge 2004, pp.159-170. Eric W Gritsch, A History of Lutheranism, Minneapolis, 2002, pp. 118-122 and passim. At stake, it seems, for both Forde and Gritsch, is whether the ultimate contribution of Lutheranism to Christendom is to protect the gospel and the Church of God from deviation and untruth, or to release the Church in the freedom of that gospel. The same question could be posed of the Reformer himself. Jonathan, I think this alternative that you raise based upon the work of Forde and Gritsch deserves a lot of thought and study. Obviously there are groups within every Christian tradition that follow one or the other of these alternatives to a greater or lesser extent. But, as you note, in this case what best represents the spirit of the Reformer is tantamount? One question would be (if both groups are necessary), does each group need the other or are they necessarily exclusive of each other? In other words, do you envisage these two groups being able to coincide within the same communion or does the attitude of the former make such communion with the latter impossible? Carl Braaten claims that if the primary accent falls upon the gospel, and if there is the correct understanding that the church herself is a servant of the gospel, then it is natural and necessary to conclude that the church is present where the true gospel is proclaimed in both word and deed. This line of thought in no way can be reversed to make the claim that the gospel is truly and necessarily present when a church bears certain institutional marks or perpetuates itself through certain externals (Mother Church: Ecclesiology and Ecumenism, (Minneapolis, MN: Fortress Press, 1998), p. 33). 1. What are the signs and doctrines of the true visible church on earth? 2. What are the signs of the invisible church as it exists outside the true visible church on earth? I would use question no. 2 to find the church among the Mormons or among the Methodists. Lots of us desperately need to know that answer these days. We have loved ones being drawn away. Will we see them in heaven? Question number 1 is for the big boys who know very well what it means. They’ve been hammering on that sword at Nicea, Augsburg, Trent, etc. The one true visible church on earth must do it all, no minimalism here. When Jesus went to heaven he told us to teach everything to everyone, and to be apostolic we teach everything the apostles taught. We don’t have permission to reduce the Christian faith into a one-sentence belief meme (I apologize for using a neologism). At least, the one true visible church on earth doesn’t. However, if you were to create a one-sentence creed that all the big-boys could agree upon, it could be added to the list of nifty creeds we already have? But, wouldn’t it be so much easier just to track down the invisible church by following the signs. Posit: Each person belongs to his church because he believes it is the true visible Christian church on earth. I am intrigued, but also troubled all over the place by this bit above. It is hardly a distinctly Lutheran idea that the Gospel should be “protected” from heresy. 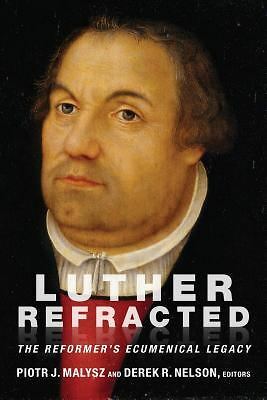 At the same time, certainly no one, Dr. Trigg included, thinks that Luther thought his ultimate contribution was to rearticulate the need to guard against heresy. I think Dr. Trigg’s choice of language and phrasing here might have accidentally exposed some of his criticisms of modern confessional Lutherans. In any case, I don’t think this is a position anyone is taking, though it is certainly a criticism occasionally leveled at us, i.e., some Lutherans are legalists who live in fear, conserving the past out of traditionalist desires, and that there are parties in Lutheranism that are little more than purity cults. On its own, this sounds quite a bit like ELCA news service and self-definition. But I think it safe to assume, in light of the post above and past experience, that Dr. Trigg is not an antinomian and truly wants to get at this idea of Luther’s “pure word,” and also advocate for a defense against heresy. I think then the only way to understand these two seemingly contradictory ideas is to hold them in balance and relation. There has to be a Gospel for there to be a freedom of the Gospel. That means there has to be protection from deviation. The Gospel doesn’t free us to sin or to distort the Truth. Still, I am puzzled. For what is the “freedom of the Gospel?” Is it simply freedom from Hell’s just demands on us? That hardly seems to be what Dr. Trigg means here. No less frustrating, but another avenue to seek, btw, is to consider what are all the “articles of faith” in the BOC which are required for fellowship. “Articles of faith” stands there in the place of “pure word.” How much agreement, and on which things, is necessary for fellowship? Where is the list of articles? When and how do we add new items to the list? Etc. My apologies for being slow to reply; I thought the thread had ‘died’ and had not checked back for many weeks. I will attempt to give a considered response to your points as soon as I get time to do it! I appreciated Jonathan Triggs’ post and the response by Dave Petersen. Both pose questions that stimulate. The protectionist stance – the Lutheran “gift” to the Church catholic is to be the ever-guardian against heresy – has distilled itself down to what John Hannah has called the “purity cult” in ultra-conservative American Lutheranism. The “gift”described as freedom FOR the Gospel is more attractive, except that it has distilled down to an anti-nomian puddle. From inside the Missouri Synod, I can say that the thunder invariably comes from the right – tighten the screws, there are boundary violations. I gather from this forum that the thunder pretty invariably comes from the left in the ELCA – loosen, oh what the heck, eliminate all the requirements. The leadership tries to play to the middle, but is influenced by its respective edges, which drift and drift and drift and demand that the authentic position is further and further out there. That part of it just gets sadder and sadder, to me. But if there were not only a more taut intellectural/theological evangelical and catholic middle, but ardent practitioners thereof, we might actually begin to pull the rest away from the edges, and to be a force far more available to the Church catholic and to the world as well as internally. I have had this conversation as recently as last night with a young pastor in NYC. What is needed is parish and pastoral examples and guides from which mentoring and further theological/intellectual dialog can ensue. The force of Lutheran truth never leaves and always begins from a local altar, pulpit and font, where the axis mundi breaks in with grace and life and light in Christ.